The microbiome—the normal microorganisms we all have in our gut, is being increasingly linked to multiple aspects of health and disease. Now one of the world’s biggest cancer charities, Cancer Research UK has dedicated up to $25 million to finding out if it is linked to development of colorectal cancer, the third most common cancer in the U.S. The ambitious project involves 14 investigators spread between six different countries, but is led jointly by two U.S. researchers; Professor Matthew Meyerson of Dana-Faber Cancer Institute and Harvard Medical School and Professor Wendy Garrett from the Harvard T.H. Chan School of Public Health. Meyerson specializes in cancer genetics and Garrett’s expertise is immunology and infectious diseases. “The colon is the most densely populated microbial environment on the planet. Our tumors and cancers also harbor microbes that can contribute to whether we respond to a drug or not. There are wide opportunities for thinking about cancer risk, development, treatment and cancer care through the lens of the microbiome,” said Garrett. “We and others have shown that bacteria can promote colon cancer in a number of model systems and if you treat these infections it appears to be possible to limit the growth of these colon cancers. We don’t really currently understand this in detail and whether there is enough evidence for this happening in people.” said Meyerson. “With new genomic technologies, we can map the microbiome in incredible detail, so now is the right time to be investigating this phenomenon of cancer. 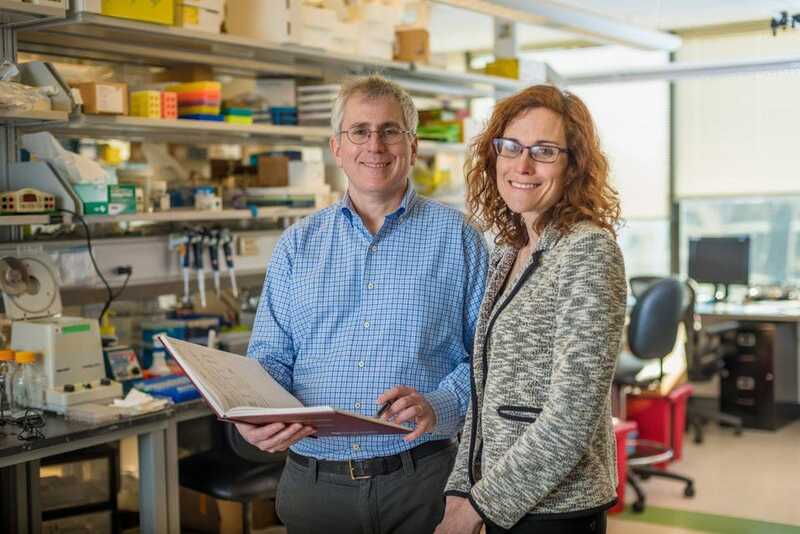 With this information, we hope to develop new microbiome-targeted therapies for colorectal cancer,” said Meyerson. “First of all we have to consider safety with any kind intervention. We have several clinical trialists involved in the study and a whole clinical trial network supporting this network and poised to jump in,” said Garrett. Cancer Research UK, which has historically funded researchers based in UK hospitals and universities is now branching out to fund ‘Grand Challenges’, which link together traditionally separated research fields to come up with innovative solutions to some of the biggest challenges in cancer research. “Cancer Research UK’s Grand Challenge is set up differently from almost all other research funding, in that it aims to bring together the brightest minds from a range of disciplines and from around the world to focus on specific challenges in cancer research. We received 134 applications from 41 different countries which were narrowed down to the final three projects for this year’s funding round,” said Iain Foulkes, PhD, Cancer Research UK’s executive director of research and innovation. “Cancer is a global problem that requires a global solution. The quality of the applications proved that the best science happens when the world’s top scientists work in collaboration with each other,” said Foulkes.